Enjoy your Wednesdays at Antoine's for Happy Hour wearing your favorite bow tie. This event is designed to bring back the Leonidas House as the community center it originally was, and to continue a program designed to stop violence in the area. 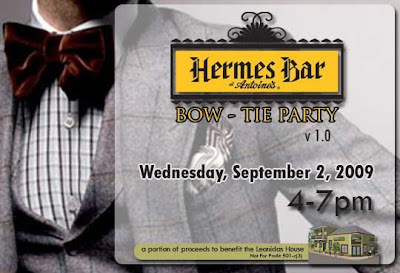 A portion of proceeds to benefit the Leonidas House.